They have been around for quite some time. Loved and enjoyed by kids and adults alike, radios are always there entertaining us, cheering us up, delivering music and news. Through the years we have seen a transformation. Radios became first available on our computers through the Internet and nowadays they are present on our mobile devices. 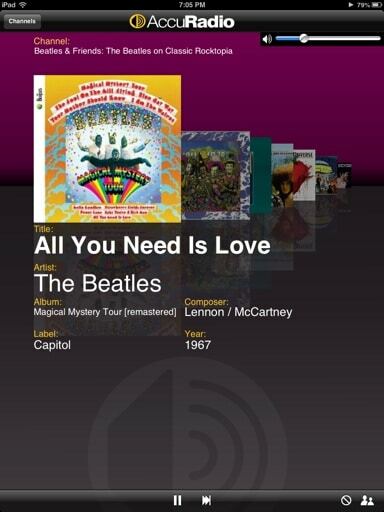 Today I will be discussing some radio apps on iPad. The following Apps have a free version that is supported through advertisement. Need to refresh how to download an install iPad Apps ? Make sure you are connected to the Internet before using the radio Apps below. 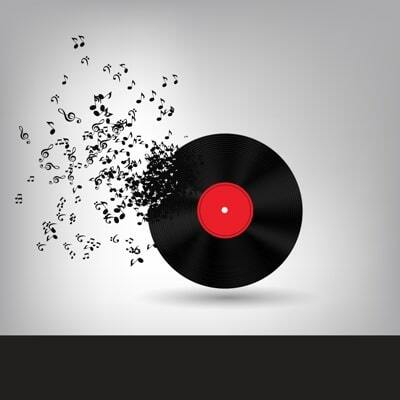 AccuRadio lets you choose from a big library of Genres that includes music from the 50s, 60s, 70, 80s, 90s, country, rock, hip-hop, reggae, movies, jazz, etc. Within each genre there are several channels to choose from. An interesting feature is that you can ban an artist from your playlist so that you skip those songs. The App displays information about the artist or group, title of the song, album, composer, label and year. 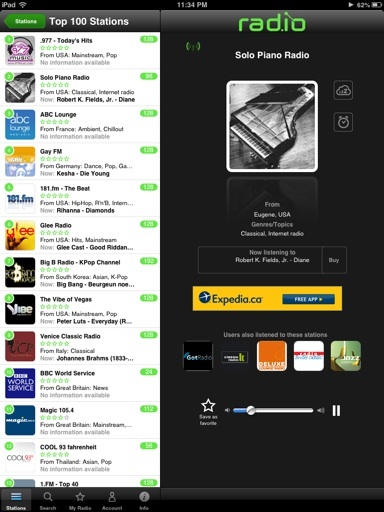 TuneIn Radio lets you play local, trending and recommended radios. You can also tune in to sports, news and talk radios as well as podcasts. You can add radios to your favorites and download the songs through iTunes (paid). rad.io lets you choose from a variety of stations, editorial picks, local stations, genres, countries, cities and languages. You can add stations to your favorites, set up a timer to go to sleep or an alarm to wake up to the station of your choice. You can also buy the music you are listening to through iTunes as well. 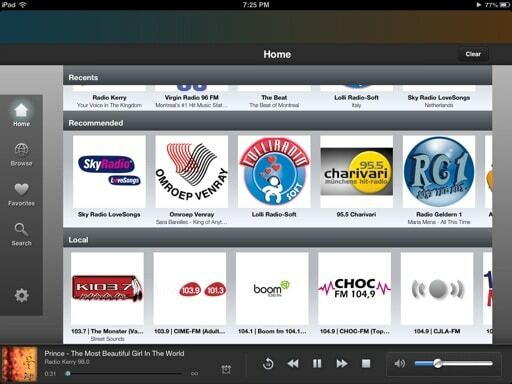 Which iPad Radio App do you like the most? Please let me know by posting a comment below.